Overwatch Hero 26 "Very Playable" | Nerd Much? "Hero 26 is already amazing." According to game director Jeff Kaplan, who might as well be the Overwatch spokesperson at this point, the next hero for the game will be “very playable and very fun internally.” The hero has been dubbed Hero 26, as it is the 26th hero to come out for Overwatch. Unfortunately, Kaplan also stated that Hero 26 is “not coming out as soon as you think” but assures that “Hero 26 is already amazing.” Kaplan said nothing more on the subject, but this does seem to imply that Hero 26 is quite far in development – enough to played by the developers for testing at least. Furthermore, there are some theories surrounding Hero 26 suggesting that they might be the Queen of Junkertown. Meaning we might have already heard her voice in the trailer for the map. This theory also stems from the various posters of the Queen of Junkertown. Sound evidence, since Doomfist was a poster for a long time before he finally came out. That said, there’s plenty to keep Overwatch players distracted before Hero 26 comes out. For one, there’s a free weekend coming up, from September 22 – 25 on the PS4, Xbox One, and PC. You can play the full 25 character roster and have your choice of the maps available. So be sure to download that if you haven’t bought Overwatch yet and see what you think of the game. This is probably the best marketing Blizzard can do, nothing sells a game like a free trial or demo where gamers can play portions of the game. Especially if you leave it on the cliffhanger, or in this case, not quite enough time to try all of the heroes. 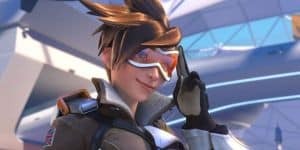 For the veterans of Overwatch, there are of course plenty more updates in the form of new maps, Team Deathmatch, Doomfist, and the aforementioned Junkertown map is coming out September 19.